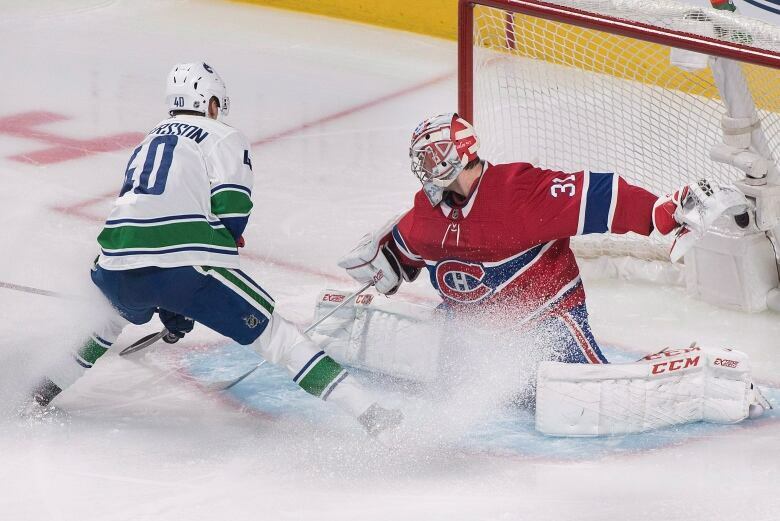 Carey Price returned from injury to make 33 saves and lead the Montreal Canadiens to a 2-0 win over the Vancouver Canucks on Thursday. 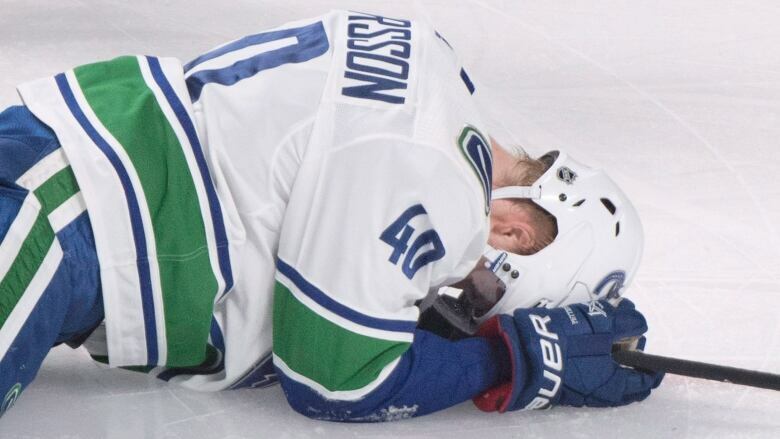 It was a tough night for the Canucks after losing rookie Elias Pettersson to a lower-body injury in the second period. Carey Price shared his key for success after Thursday night's 2-0 win over the Vancouver Canucks. Price returned from a lower-body injury that caused him to miss three games, and made 33 saves for his second shutout of the season. "Rest is a weapon," said Price. Canadiens defenceman Jordie Benn added: "Those glove saves, they make me giggle on the bench that's for sure. He was solid." It was a tough night for the Canucks after losing rookie Elias Pettersson to a lower-body injury in the second period. Pettersson, who was named an all star Wednesday, was injured after getting tangled with fellow rookie and Habs forward Jesperi Kotkaniemi. Pettersson's right knee was caught between Kotkaniemi's legs as they both fell to the ice. The Swede stayed down on the ice before getting to his feet and going to the dressing room. He would not return to the game. "I've watched it a lot of times," Canucks head coach Travis Green said. "It's not a dirty play by their player at all. [Pettersson] gets hooked a little bit. Petey pushes back on him and leans back. Probably tries to give him a bit of a reverse hit and two young guys fall to the ice... It's not a penalty." "I don't think it was anything intentional. I don't think we need to make a big deal out of this," said Jacob Markstrom, who made 25 saves in the loss. Benn and Jonathan Drouin supplied the Montreal (22-14-5) offence. Joel Armia also returned to the Canadiens lineup after missing the last 25 games due to a knee injury. The Finn also picked up an assist in his return. Markstrom was quick to heap praise on his counterpart at the other end of the ice. "[Price] had a real good game tonight," Markstrom said. "They took advantage of their scoring chances they got and got two past me. It's a tough loss,"
Pettersson had a breakaway opportunity, but the Swede slid into the post and failed to get a shot on Price as the game stayed scoreless for the first 12 minutes of the game. Benn opened the scoring with his third goal of the season at 11:50 of the first. Kotkaniemi held the puck along the boards before feeding a wide open Benn, who took a moment before firing a top-shelf goal past Markstrom. "It looked like it was going in right away," Benn said. "There was a good hole there, good net-front presence." Minutes after Pettersson's injury, Drouin scored his team's second of the night as he burst up the wing for his 13th of the season, matching his total from all of last season. "We created a turnover in the defensive zone," Drouin said. "Max [Domi] made a good stretch pass." The Canadiens will play against the Nashville Predators Saturday at Bell Centre, while the Canucks wrap up a six-game road trip against the Toronto Maple Leafs the same night.